Don’t worry about impressing opposing counsel. Don’t worry about impressing the judge. Don’t be pressured into a settlement that you don’t feel good about. Be kind and courteous to everyone, whether rich or poor. Never act out of anger or fear. Listen to what others have to say before opening your own mouth. Remember, our clients provide our living and send us most of our new business, so give them the respect they deserve. Prepare every case properly before you go to court, and especially review the applicable law. Consider in advance the opposition point of view and all available responses. Never handle any case from the seat of your pants or off the cuff. Be sure that you know exactly what you are doing. Other people should respect you for the kind of person that you are. You should not be a drunkard. You should not advocate, condone, or practice immorality. You should try to advance the cause of justice whenever and wherever you can. The standards set forth above are really just common sense rules of conduct for anyone whose profession is to represent the interests of others. If we are agents for someone else, we want to represent that person well and make a good impression for them in the community. 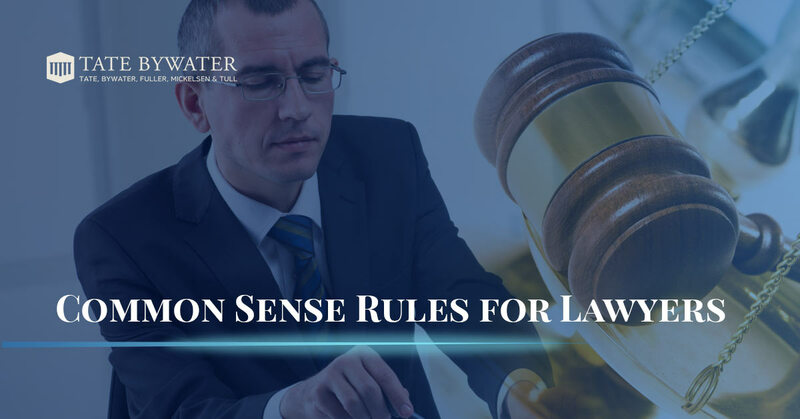 Doing the right thing and using common sense are not just rules for lawyers to follow. Everyone needs to understand that arrogance, lying, and unlawful behavior of any kind can and will get you in trouble. It is true that everyone sooner or later makes mistakes. Some of those mistakes will inevitably be serious. 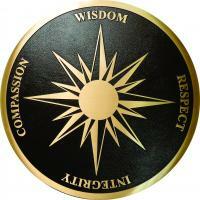 However, if we will use common sense based on a code of conduct such as the standards we do our best to follow at TATE BYWATER, the adverse consequences of our mistakes will not be nearly as severe.